Keep the rabbits fed, and make sure that there is always enough drinking water in their water bottles with the Playmobil Rabbit Pen with Hutch. 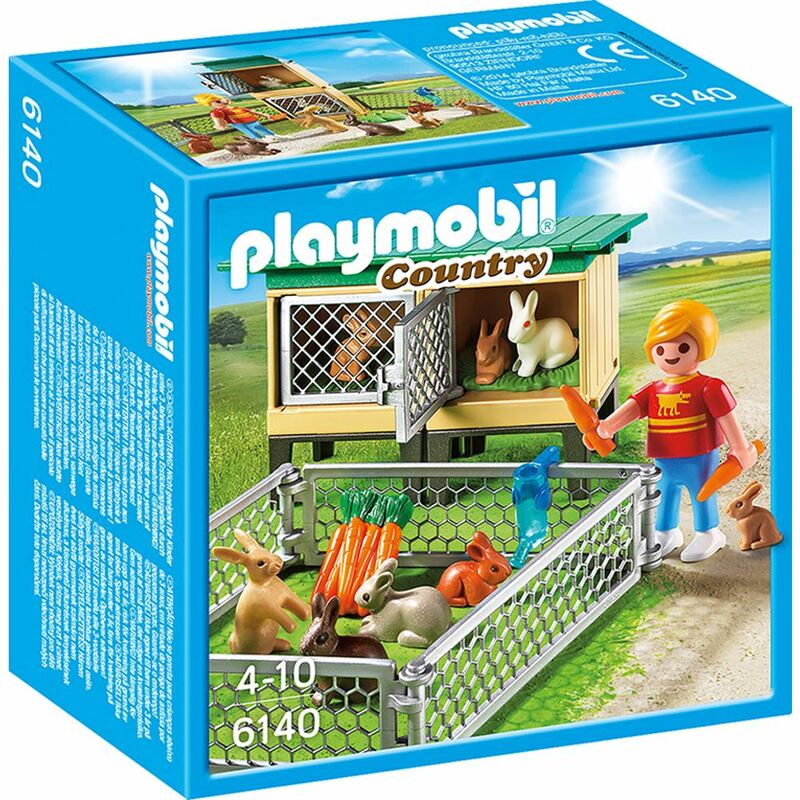 Includes: a figure, 5 rabbits, 4 hares, 2 rabbit hutches and accessories. Part of the Country and Pony range. Age 4+ years. Distributed in New Zealand by Holdson.